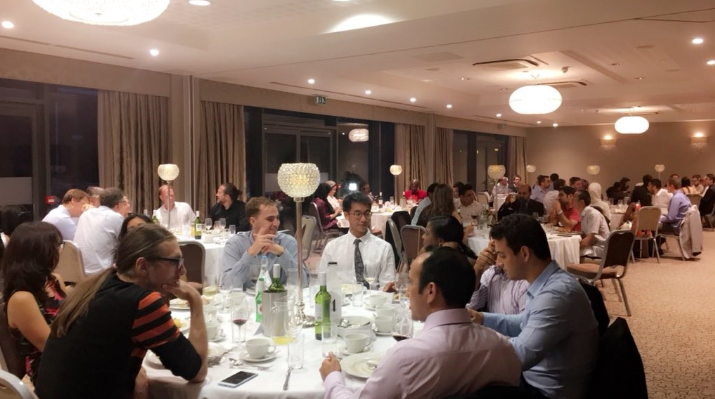 In July, Data & Analytics were invited to the Big Data and Analytics Summer School organised by the Institute for Analytics and Data Science, held at the University of Essex in Colchester. Four members of the team went along for various courses across the two weeks, and all came away with some really valuable experiences and knowledge. Learning all day is pretty tiring, and that paired with the extreme heat that week meant it wasn’t quite like rolling back the years to uni days, but the SU bar was visited at least once, by at least one of us. The knowledge learned in the Data Ethics seminar would be particularly valuable for the whole of the organisation. People often think that data ethics relates primarily to data sharing and GDPR, but there is a lot more to it than that. It’s important when using data to consider how bias in data may affect our decision making, and to ensure that we are not characterising people based on their identities. It’s a complicated web, but it touches every decision that the authority makes. There is the potential of making the learning from this course into a lunchtime learning session to share knowledge around the organisation. One of the biggest advancements in our predictive analytics offer over the coming years will be the implementation of Natural Language Processing (NLP). NLP is the process in which unstructured data (free text, for example) is categorised and transformed into quantitative data that can then be analysed. The course showcased the software GATE, and how it has been used for Sentiment Analysis with open data from Twitter to examine if people’s use of language changes as their behaviour changes. This technology represents a brand new avenue for the authority to explore, and opens up new worlds of data that had previously been unobtainable to us. Three of us attended various courses demonstrating some software that we are close to accessing in Data and Analytics that has the potential to transform the work we do; the coding programme R and its front facing platform R Studio. R is statistical analysis software that allows for advanced data manipulation and analysis. The Introduction to R course was over four days and included sixteen lectures, so it was a bit of a steep, intense learning curve, but the power of the software was obvious and would represent huge benefits to ECC in the future. If anyone is interested in hearing any more about any of these courses they can contact any of Thomas Aldworth, David Hagan, Emily Moss or Jeanette Taylor to ask questions. One of the biggest questions we had throughout the whole experience was ‘what is big data’? It’s a phrase that we hear a lot these days, from politicians to social media companies; it is often a topic that is discussed in the news. Throughout the summer school, it became apparent that there are lots of different definitions of ‘Big Data’ out there. We want to know what ‘Big Data’ means to you. Leave a comment telling us what you understand it to mean, and we’ll come back to it in a future blog to explain what we think it means to ECC. Thanks for reading. I’m sure you’ll be hearing again from me soon. Sounds like time well spent. Big data to me means connecting lots of different data sources which we can then analyse for more meaningful insight about a specific subject/matter, our communities, places and in some cases households/families.